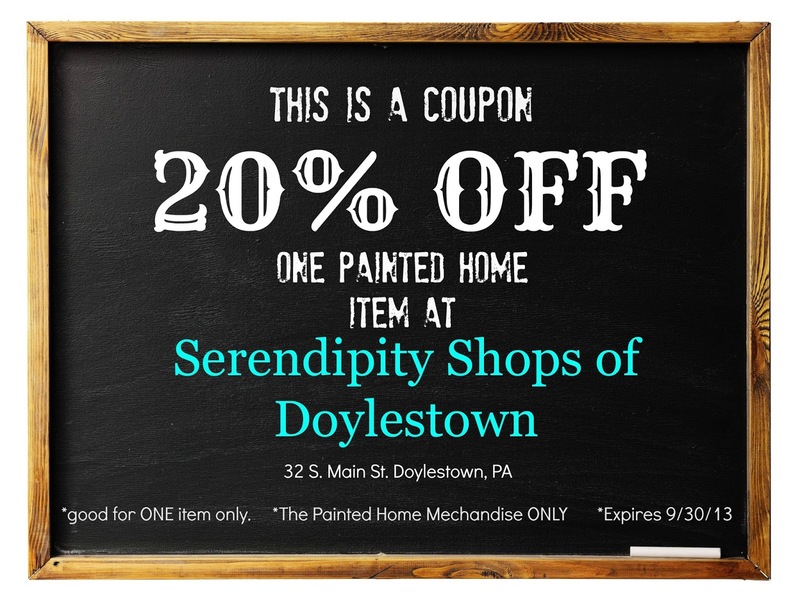 If you’re not familiar with Serendipity, it’s a creative collection of vendors in Doylestown, PA. I have a small space there with tons of home decor items. A little bit vintage, a little bit handmade. If you stop in between now and 9/30, feel free to use this coupon for a 20% off discount! And let me know what you find!